"For Park Cinema, it has always been extremely important to meet the requirements and desires of film and art lovers, in general. For this reason, in addition to the mainstreaming Azerbaijani and foreign films, you can watch operas, exhibitions, concerts at our cinema network. At the same time, we are well aware that there are a huge number of fans of festival, art-house cinema," he said. 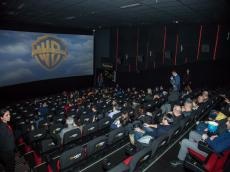 The first screening of art-house film has been already held in cinema. The movie "The House That Jack Built" was shown in cinema in December. The initiative aroused great interest of the audience, who willingly shared their impressions on social networks. Film critic Ulvi Mehti will become the coordinator of the Arthouse Cinema Club. "Before and after watching the film "The House That Jack Built" by Lars von Trier, it became clear that the exquisite Baku audience from among the fans of cinema of all generations literally yearned for professional viewing on the big screen of the cinema," said Mehti. "For their part, the cinema management is interested in demonstrating elite exclusive new products, films-prize-winners of A-class film festivals and Oscar nominees. The main thing, in my opinion, is that the Park Cinema aims to get in touch with the progressive public, which has already made a lot of feedback in social networks about the first promotional show of the art house film club," he added. The name of the Club will be determined by competition on the Park Cinema page on the social network Facebook. The first show will be held on February 12, viewers will see the picture of Lebanese director Nadine Labaki "Capernaum".